Just a heads up, YouTube channels with verified checkmarks are posting Jurassic World 3 "concept trailers" and marking them as "first looks". Do not fall for them, they are not the real thing. 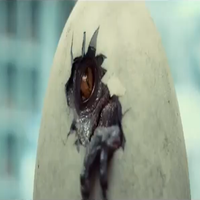 Speaking of which, does anyone remember that trailer that came out before JW? I think it had a guy getting picked up off a beach by a pteranodon maybe? Thats it! Thanks. That was interesting as hell when it first came out. That was a "proof of concept" pitch for a JP video game that never happened, if I remember correctly. Official or fan-made? I can't remember the details. it actually turns out it was for a movie. The video game story broke first. » Crazy S.O.B., I did it. » Sports, sports and more sports!